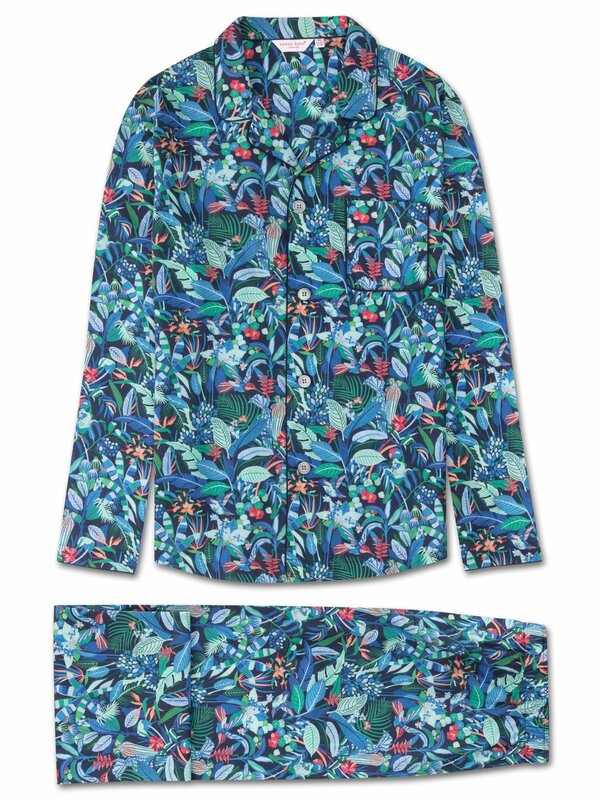 For a stylish sleepwear must-have, the Ledbury 20 modern fit pajama set features our intricate hand-drawn botanical print, inspired by Southern California wildlife including parrots, hummingbirds and a variety of palms. 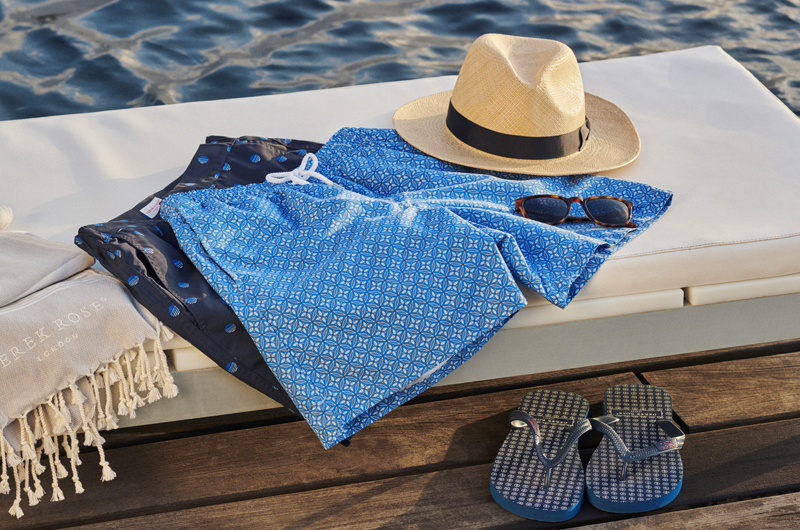 Ideal for warmer conditions, this lightweight pajama is destined for stylish off-duty wear. Like all of our modern fit pajamas, the Ledbury 20 is designed for a more streamlined and contemporary cut; one that is closer to the body without being restricting. Made from ultra-fine, lightweight and super soft cotton batiste, a signature fabric of ours that excels in both cold and warm climates, the jacket features a curved collar, mother of pearl buttons throughout and a piped breast pocket. Furthermore, the rest of the jacket is piped throughout with a complementary navy blue piping.